Three of our members demonstrated various arrangements at Fleet Library. Tickets were sold for this event and there was an audience of about 20 people. 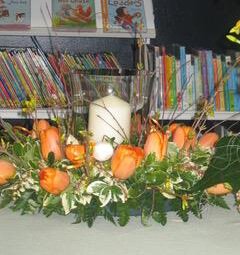 The title for the demonstration was Flowers in Springtime using supermarket bought flowers. The audience learnt how best to condition and use flowers in arrangements as well as plenty of inspiration! 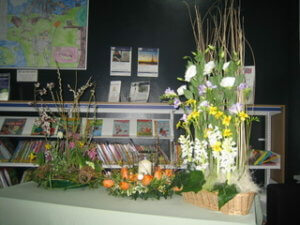 The arrangements were raffled off at the end and vouchers were given out to visit one of our meetings free of charge. The Club hopes to be able to put on another demonstration at Fleet Library soon.